We’re delighted to launch the first ever website for this local irrigation company that has been around since 1989! Automated Irrigation Systems in Zionsville, Indiana provides residential and commercial irrigation and drainage solutions. Whether it’s a homeowner wishing to install a new irrigation system, or a local football field needing an automated irrigation system, AIS are experts with decades of experience. 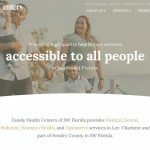 We designed a visually engaging website for AIS, complete with a customized content management system to allow the client to make changes quickly and easily. We also integrated First Data Payeezy with their bank to allow their customers to pay their invoices online with an easy to use payment processing form. 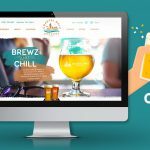 With a fully featured WordPress installation powering the website, every page and piece of content is controlled by a drag and drop page builder, making edits a breeze. Several custom WordPress plugins were developed to give the client increased control over the website outside of the basic scope of the WordPress platform. The Payeezy integration required two separate merchant accounts as a result of a recent acquisition made by AIS of another existing irrigation company. This unique scenario required us to come up with a solution to integrate the two separate accounts, allowing customers to make invoice payments directly into the appropriate account. We achieved this by asking the customer to select the “From” address on their invoice when entering their information into the online payment form, and depending on their selection, their payment is then processed by the corresponding merchant account. Using image label fields increased the user experience, resulting in an easy to use invoice payment process. 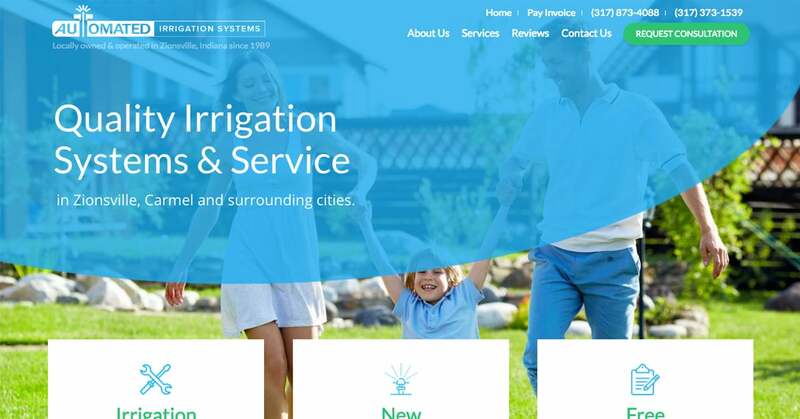 As a successful, local Indianapolis irrigation company that’s been in operation since 1989, we are excited to see the growth that will result from having a high quality website now online and ready to start targeting local search terms like “Irrigation services Zionsville” and “sprinkler repair Zionsville“.